March 3, 2011 – At its meeting tonight, the Golden City Council will consider urging U.S. Interior Secretary Ken Salazar to hold off on selling a Rocky Flats parcel needed as right of way (ROW) for the proposed Jefferson Parkway as long as negotiations continue between Golden and backers of the toll road plan. The request, to be included in a letter to the Department of the Interior (DOI) from Golden Mayor Jacob Smith, echoes a similar appeal from the City of Boulder and Boulder County, who also are negotiating with Jefferson Parkway proponents. The Golden City Council voted unanimously on Feb. 24 to continue working towards a possible agreement around the toll road, but not to give up the City’s right to sue to stop the Jefferson Parkway unless some very specific requirements are met to protect Golden from future traffic and environmental impacts. The City of Boulder and Boulder County’s negotiations with Jefferson Parkway focus on a different issue – the preservation of a key open-space parcel. 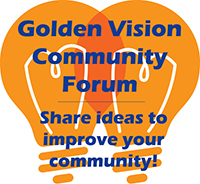 The Golden City decision was made after Golden officials heard from hundreds of residents at a series of four public informational meetings and at the Feb. 24 City Council session. “In order for these negotiations to succeed, the City of Golden continues its request, and joins the requests of the City of Boulder and Boulder County, that DOI defer final action on the Rocky Flats ROW so long as real progress is being made towards settlement,” Golden’s draft letter states.